WASHINGTON: Donald Trump’s former campaign chief Paul Manafort on Tuesday becomes the first member of the president’s election team to face trial on charges stemming from the probe into Russian interference in the 2016 vote, reports AFP. 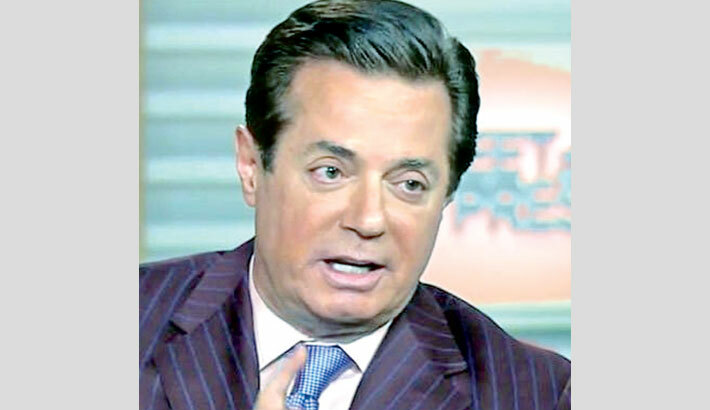 Manafort, 69, has pleaded not guilty to 18 counts of bank and tax fraud related to his lobbying activities on behalf of the former Russian-backed government of Ukraine. The indictment was brought by special counsel Robert Mueller, the former FBI director who is looking into Russian meddling in the presidential election, but the charges are not connected to Manafort’s time as Trump’s campaign chairman. Selection of a 12-member jury for “USA vs Manafort” begins at 10:00 am (1400 GMT) on Tuesday before US District Court Judge T.S. Ellis in Alexandria, Virginia. The trial is expected to last about three weeks. Manafort, a veteran Republican political consultant, served as chairman of Trump’s presidential election campaign for three months in 2016 before being forced to step down amid questions about his lobbying work in Ukraine. He is charged with five counts of filing false tax returns for not reporting bank accounts he held in Cyprus and other countries in a bid to hide millions of dollars in income from activities on behalf of Ukraine’s former pro-Russian leader Viktor Yanukovych. Manafort is charged with failing to report the existence of foreign bank accounts to the Internal Revenue Service and bank fraud related to several multi-million-dollar loans he obtained from various banks. Prosecutors plan to produce nearly three dozen witnesses during the trial, including Manafort’s former associate Richard Gates, who is cooperating with the government after pleading guilty to lesser charges in February. Five witnesses have been granted immunity from prosecution to testify against Manafort.